These four television films brought the emerging writing talent of former actor David Leland to national attention. He would subsequently win a BAFTA Award for his writing and directorial debut Wish You Were Here and an Emmy Award for directing Bastogne in the Band of Brothers series. Featuring early roles for Tim Roth and Jim Broadbent, the films form a scathing portrait of British society in the early 1980s, focusing in particular on the polarisation of attitudes towards the role and methods of education in an increasingly fragmented society. Without overtly offering solutions, Leland’s films depict - often with unnerving acuity and foresight - the experience of individuals within systems that have become inadequate in dealing with the fallout of social breakdown. Of the four films presented here, Made in Britain, directed by the celebrated Alan Clarke, inevitably aroused the strongest controversy, with Tim Roth’s astonishing portrayal of a nihilistic, racist teenage skinhead captured by Chris Menges’ innovative cinematography. Contentious, truthful and oftentimes harrowing, this hard-hitting quartet of films won both the Prix Italia and Prix Futura, fully justifying its controversial stance and determination to break new ground in television drama. Featuring Jim Broadbent, the play dramatises the conflict between old, authoritarian teaching methods and the more relaxed approach of progressive educationalists. Graham Crowden stars in a play depicting the battle between parents who want to home-educate their children and the local education authority. The harrowing story of Angela, a disenfranchised young black girl living in 1980s London, and her encounters with a well-meaning but often ineffectual social system. Directed by Alan Clarke, Tim Roth makes his TV debut as a hate-filled teenage skinhead on a self-destructive campaign destined to lead to permanent incarceration. 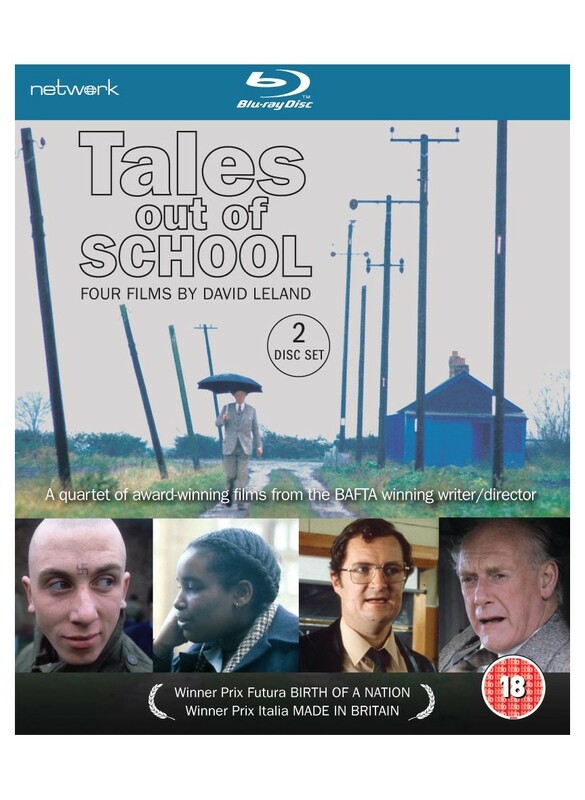 • Twice-Told Tales: the writer and producer join a group of high school pupils and look back at Tales Out of School 30 years on.